Cooking a healthy meal for a diabetic is not really that different from cooking healthy meals for anyone else. This is good news, since it means cooking for a diabetic does not, necessarily, mean cooking more than one meal at a time. So, just what the best foods for diabetes? The basics to remember are to limit (but not eliminate) carbohydrates and fats. Animal fats, such as lard, and fatty meats, such as bacon, should be seldom if ever eaten, and then only in strict moderation. Oils such as olive oil are good alternatives to fats that contain more cholesterol. Fresh nuts like almonds, walnuts, and pecans also provide the required oil for your diet. Just don't eat too many at once. 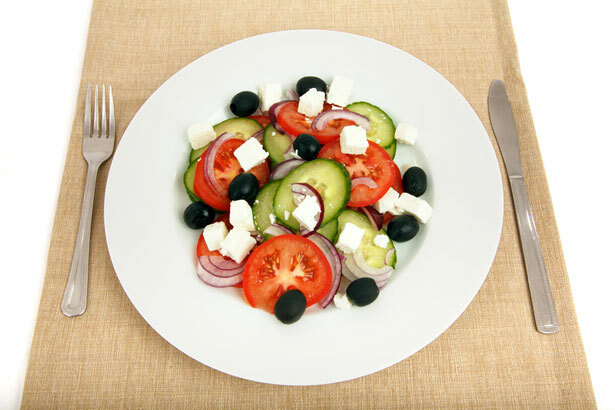 Fresh vegetables should be the major portion of the meal, with fresh fruit and meats eaten in smaller portions. One half of a given meal should be vegetables or low carbohydrate fruits, one fourth should be a starch, such as a small potato, and one fourth should be protein. The best proteins are poultry and fish. Lean cuts of beef or pork can also be used in an occasional meal, but should not comprise the major portion of your protein intake. Cooking a healthy meal for a diabetic is not really that different from cooking healthy meals for anyone else. Making tasty meals for the entire family while also cooking for diabetics requires lots of recipes. Methods used in cooking diabetic meals are basically those for cooking any healthy meal. (Starting to see a theme, here?) Roasting, pan grilling, boiling, broiling, and pan searing are all good methods of cooking meats for diabetics. Basically, any method that allows you to cook without added oil or fat is a good method. When foods are likely to stick to pans, using a cooking spray such as Pam can be helpful without adding the extra calories or cholesterol in many oils. If you must fry something, olive oil is a good choice, but you have to be careful not to let the oil get too hot. Heating the oil too much evaporates the alcohols and esters that give olive oil its taste. One way to cook meats is to add 1 inch of water to a skillet, add seasoning to the water, bring the water to a low boil and add the meat. Cook, turning meat occasionally, until the meat is done and all the water has evaporated. Continue to cook until the meat has browned on one side, then turn and brown on the other. This method ensures the meat is thoroughly cooked, reducing likelihood of food borne illness, tenderizes the meat, provides adequate seasoning, and gives it the eye-pleasing look of pan grilled meat. 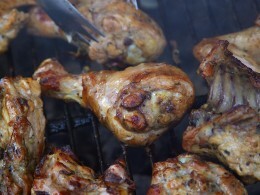 However, keep in mind that when barbequing meat, you much watch the carbohydrates in the barbeque sauce. When barbequing chicken, remove the skin before cooking. If that is not possible (as in you are at someone else's barbeque), remove the skin before eating. The information provided on this page is not meant to replace medical advice or treatment from your physician or dietitian. The purpose of this site is to provide educational information to readers and not intended to diagnose or treat any illnesses. It is very important to consult your medical professional for advice specific to your situation before changing your diet, starting a new exercise program, or changing treatment. What is Your Favorite Cooking Technique for Diabetic Meals?